How collegiate recovery started, why it continues to grow and where the field is headed. 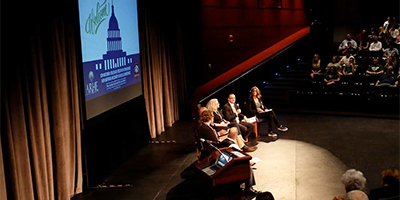 The field of collegiate recovery has grown rapidly in the past five years. The number of schools with known recovery supports for their students has increased nearly tenfold. 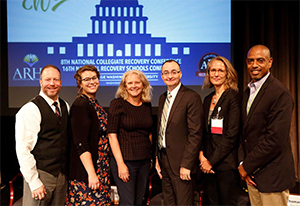 In July 2017, the Association of Recovery in Higher Education (ARHE) convened a panel of experts at the National Collegiate Recovery Conference at George Washington University to explore the how, why and where next for the collegiate recovery field. The dialogue was moderated by Jason Callis, program manager for the collegiate recovery community at the University of Georgia. The following forum is based on the conversation that took place. PART ONE: WHAT IS COLLEGIATE RECOVERY? Jason Callis: I’d like to ask Sam: How would you currently define what a collegiate recovery program (CRP) is? Is there just one model? If there are different models, what are some of those strengths and weaknesses of the different ways to approach collegiate recovery? Sam Randall: The fundamental piece of a collegiate recovery program is the peer community. Every program that I know of does something to support and nurture that peer connection. The other really common aspect is additional recovery support that is beyond the peer community. That might be peer recovery coaching or programs with staff. That also might be additional support in academic advising. These are common. This is what best supports students to be successful in their academic life. Different models might also have clinical supports that are integrated within their program. Other programs — ours, for example — don’t have clinical support directly within the program but partner closely with on-campus clinical services. Other programs might actually have a counselor on staff to provide clinical counseling and support. Some campuses have recovery-supportive housing as part of their campus housing, whereas others maybe haven’t gone that route. For many of the programs that have been around for a while, the 12-step program model is very fundamental to their community. With the growth of additional recovery support programs — SMART Recovery, Refuge Recovery, LifeRing — there are more options for people. In some of the growing models, you’re seeing more breadth of opportunity for students to get connected with a wider range of recovery supports. That’s something that’s definitely evolving. The other aspect that I think we’re seeing is there are students who live a lifestyle free of alcohol and drugs and are interested in communities like this because they are such a great foundation of health and wellness. Our community, for example,is open to any student who lives a sober lifestyle. The great majority of our students are in recovery from a substance use disorder or other addictive disorder, but we do have students who just want to be part of a sober community. We have a number of students who found in themselves a path of recovery because of that: Come for the sobriety. Stay for the recovery. 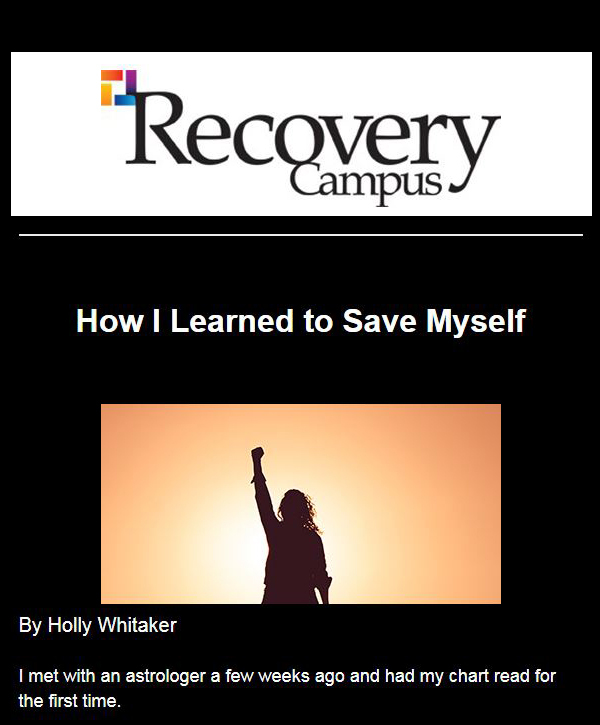 Those students learned what recovery is all about and realized, “Oh, this could be helpful for me, too.” In that sense, recovery is contagious. 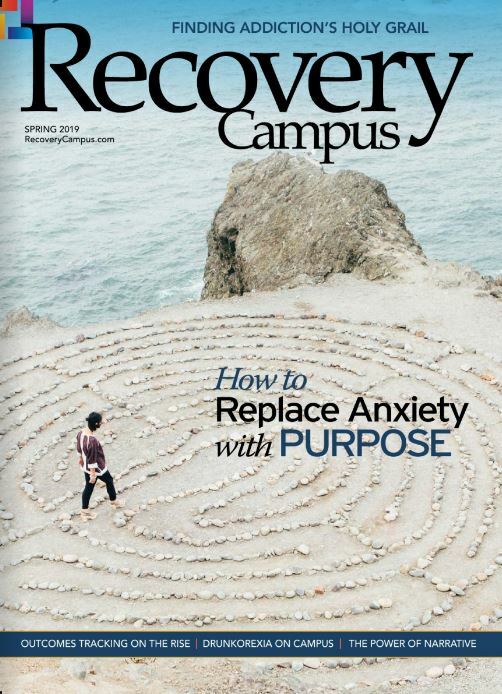 The final thing I want to touch on is there has been a tremendous growth — I think largely because of what collegiate recovery has done and shown the world how important support is, how effective it can be and how many students really can thrive when they have the support they need — of off-campus services that are helping students in recovery. I think that’s a direct offshoot of the leadership of collegiate recovery. I want to end with saying that we believe strongly in the importance of having the campus based services along with what’s happening in the private sector. I’ll just give one example of why: We launched recovery-supportive housing two years ago. It’s located within our graduate and faculty housing. We have our own two buildings that our students live in. It’s been wonderful. It’s going really, really well. When we opened that program, the housing administrators were interested. There was some of that — what I hope one day will be outdated — hesitation of, “Well, what will this be like? What if they relapse?” We got them introduced to our students and on board. Now, two years later, those same housing administrators are our biggest advocates. They love our students. They share about recovery to others now far beyond anyone that I can contact. That’s what happens when there is campus-based recovery support: We’re touching all these other people who are then touching other people and really changing the culture from within. I think where we’re going in the future, one of the most important things is how this entire continuum between private, off-campus services and on-campus recovery communities and programs can work together to really change that culture from a very integrated model. I’m excited to see where that goes. PART TWO: WHAT ADVICE DO YOU HAVE? Jason Callis: I’m listening to everything that Sam mentioned, and having been an individual who was hired to start a program, it’s like, where do I even start with all that information? As I think about that, I’d love to hear Sierra’s thoughts: What is a piece of advice that you could give to a collegiate recovery professional who is either brand new to the field or starting a program? Sierra Castedo: I have three pieces of advice. The first one is reach out to everybody. That includes other collegiate recovery programs, especially ones you can visit in person. But if you don’t have the time or the resources to do that: phone calls and emails. That also includes reaching out to people on campus: faculty, staff, obviously students as well and the community members. I want to call out Kristina Canfield [collegiate recovery community program coordinator] from University of Texas Rio Grande Valley and borrow some wonderful wisdom from her. She went through the course catalog and pulled out every class that remotely related to addiction or recovery or mental health or wellness, and she emailed each of those professors and asked if she could speak in their class and maybe bring a student along. That is a really excellent tactic. That’s going to get you some allies who will help build your program. That’s also going to take some of the work off your table and help get the word out about your program, especially if it’s new. The second piece of advice is to realize you just can’t get everything done. It can be really easy to get very emotionally invested in the work that you do. That’s not a bad thing. But it’s important to remember that self-care is not selfish. And if you’re in recovery, remember that working in the recovery field is not working a recovery program. You have to take care of your recovery first and foremost or else you can’t be there for other people’s recovery. The last piece of advice is to reduce decision fatigue. Have you heard about the crazy geniuses who wear the same thing every single day? They do that so they have one less decision to make every day. So do the same thing. Work out some talking points so you know exactly what you’re going to say already. We can help with that. At ARHE, we have boilerplate language we’re happy to send you to help you craft that message. Have your elevator pitch ready so you don’t have to think about that every time you talk to somebody new. Jason Callis: With that in mind, I’d like to ask Keith, working with one of the longer-standing programs, when you think about programs around the nation, the large majority of us have been around for no more than five years. Taking the advice Sierra offered, would that advice change for individuals who may work for longer-standing programs? Keith Murphy: The way I look at it is this: Having this vocation is a privilege. The fact that every day I get paid to help people find recovery and stay in college is an absolute blessing. Maintaining a sense of gratitude is key because this work is a grind. There are probably a lot more disappointments than there are successes. But those successes that come are really rich. There is nothing that gets me going more than to find the student who says yes to recovery, who then maintains that recovery day in and day out, and then who not only maintains their own personal recovery but has the willingness and desire to bring other people into the fold. Tell me that is not amazing. That’s the first part. The other part is being true to the mission and the vision that you laid out. My goal is very simply this: to remove all barriers for a student who is looking for recovery. Now, what that looks like changes day to day. That may mean me talking to residential life about getting locks changed, helping a student talk to a professor, maintaining relationships. I’m a person who believes profoundly and deeply in significant relationships. Without relationships, our work is pointless. The point of recovery is really getting someone reintegrated back into society not only as a productive member but also as a fruitful member. It really doesn’t change from a beginning program to a more seasoned program. Another part of my job is making sure that students who come to me know that other CRPs exist. There are other opportunities for them to embrace collegiate recovery. The other part of this, as a seasoned program, is being aware of parents. I think I have talked to an equal number of parents as I have potential students and treatment providers. As a seasoned person, it really doesn’t change. It’s all about relationships and making those connections. We don’t have all the answers. It’s good to be able to bounce ideas off other people. It’s also good to connect students to the counseling center. We understand there are a lot of co-occurring issues. There’s also a lot of trauma in people dealing with addiction and recovery. Those are all things we want to be connected to. PART THREE: WHAT IS THE FUTURE OF COLLEGIATE RECOVERY? Jason Callis: I would love to ask Teresa: We’ve been talking a little bit about history and where we are currently. What comes to mind when I ask, what is the future of collegiate recovery? Teresa Johnston: I think the future looks bright. That is because of the students. The impact that I’m seeing is that we’re holding space for young adults to come into college and have access to recovery support at the same time. These young men and women are graduating from college and going out into the world. The idea that you have to come right back into addiction or you have to be an addiction counselor — those were safe choices for many years. But what we’re seeing today is this impact across fields and careers. We’re looking at scientists. We’re looking at doctors. We’re looking at lawyers. We’re seeing incredible impact in the private sector,nonprofit and public sector as well. From that standpoint, it’s incredible. I also think those same students who are coming back into collegiate recovery are impacting change tremendously. I’ve had the privilege to hire several people who have graduated from Texas Tech, University of Vermont, University of Michigan. Those are the things I think are tremendously incredible for us as a field and as a profession. I think the students are going to lead the way. We’ll constantly see change and fluidity because of that. I think we have tremendous challenges. We need to do incredible research in recovery specifically. I also think that we have to remember that we’re in higher education. We’re not in treatment centers. Many of us were hired to be in higher education. We have to learn the language of higher education. We have to understand retention, progression, recruitment, graduation. That will bring a brighter future for a lot of the advocacy work that we do. The last thing I’ll say is that I think that we’re challenged for inclusion and diversity. We’re a self-selected cohort. We have this incredible opportunity to bridge a lot of gaps, whether it’s community colleges, drug court, treatment centers. PART FOUR: WHY IS COLLEGIATE RECOVERY SPECIAL TO YOU? Jason Callis: I’d love to hear why collegiate recovery is special to you. Sierra Castedo: Collegiate recovery saved my life. I came to grad school at UT Austin with an active addiction to alcohol. I saw that as being my future. Somehow I was excelling in school nonetheless. Thankfully, because I was able to participate in the Center for Students in Recovery and found my community of support there, I was able to get into recovery and have been there ever since. It’s not where I get my recovery fed anymore. I get my recovery from the recovery community in the greater Austin area, but it’s what saved my life. That’s what made me feel my addiction didn’t define me and that my addiction wasn’t a limitation. Keith Murphy: There is nothing better than seeing a totally new person full of fire and in charge of their own lives and ready to make a difference in the world. That’s what gets me up in the morning. That’s why I do what I do. I just want everybody who needs it to have it. Teresa Johnston: I find it remarkable that young adults in college are able to make that change. I find it remarkable that when they come into my office and say they think they have a problem, that they have this opportunity. And they should have the opportunity to be able to change, especially in a culture where there’s such growth. They have this place on campus that says, “Hey, here’s an option for you.” I’m passionate about darkness turning into light. Thomas Kimball: I think I have the best job on the planet. In the most important ways, the people in recovery have walked me through the most difficult times in my life. They taught me how to turn my life over to something bigger than myself. They saved my life. One of the things that grates on me is every semester I have to say no to students. I can’t fathom living in a society where there aren’t enough spaces for students in recovery who want to come back. So I’m passionate about not only expanding our program but also helping there be a collegiate recovery program on every college campus in the United States. That’s what we need to have happen. Sam Randall: It’s a really meaningful role to be in. It is one of the best things in the world. We talk about recovery nirvana. Everyone there wants it. We’re here to help them get it. It’s pretty amazing. Ten years ago, I was on faculty at University of Texas at Austin teaching architecture. I was not in recovery at that point. I had gone through a number of pretty awful experiences and spun out while I was there. When I got into a path of recovery, I didn’t know what was going to be next for me. Ten years later, I’m the program manager of University of Colorado’s Collegiate Recovery Center, working back on a campus of higher education, and I’m doing it within a program where staying healthy is part of my job. It’s very powerful to help change that narrative and to be out in front all the time as much as I can talking about recovery so that we can change what people think about recovery and about addiction. I didn’t get help for a long time because I was told when I went to psychiatric care when I was on faculty, “Don’t tell anybody what’s really going on.” I had a cover story. I don’t want that ever to be the case because once I actually owned who I was and what I had been through, I got to be whole. I got to be a whole person again. Walking through life as a whole person is a hell of a lot easier than keeping all that shut away. 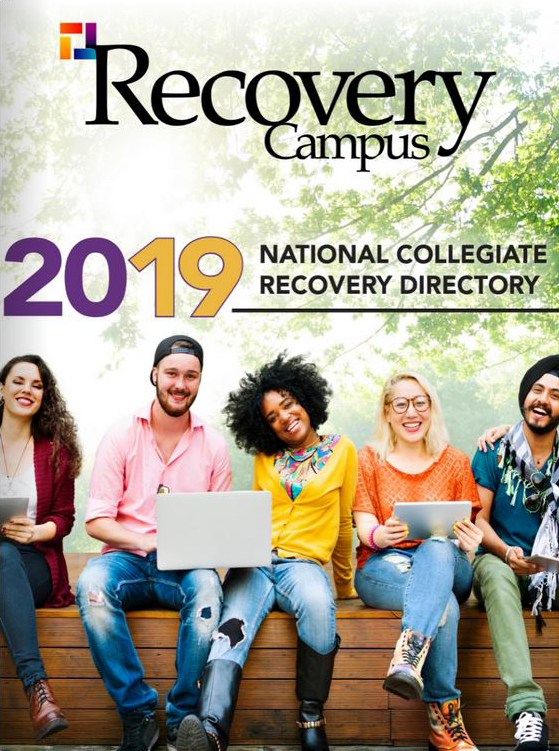 Collegiate recovery is truly the grassroots of changing hearts and minds and helping to make sure that students will get help when they need it. Sierra Castedo: It’s not just an opportunity to change the narrative of addiction and recovery, which is important, but we can change the narrative around what college is and get it back to the meaning that is still in a lot of people’s hearts and minds, which is: College is a place of self-discovery and of opening the doors to opportunity. For too many people, it’s also this place that’s full of partying and experimenting with substances. We can help to change that narrative by promoting the idea of finding yourself and opening the door to opportunity. That’s what this is all about. That’s also what college is about. Jason Callis is the first program manager for the collegiate recovery community at the University of Georgia. He earned a Master of Social Work with a focus on mental health and substance abuse counseling from Kennesaw State University. While at Kennesaw State, he was both a student member and then graduate intern at the Center for Young Adult Addiction and Recovery. Teresa Johnston is the founding director of Kennesaw State University’s Center for Young Adult Addiction and Recovery in Kennesaw, Georgia. A licensed professional counselor specializing in substance use disorders, addiction education, intervention and recovery, Johnston is the founding president of the Association of Recovery in Higher Education. Sam Randall is the program manager for the Collegiate Recovery Center at the University of Colorado Boulder and helped to launch the program in 2013. She has worked in the field of addiction and recovery for eight years and as an educator and mentor for more than 20 years. Thomas Kimball is the George C. Miller Family Regents Professor at Texas Tech University and the director of the Center for the Study of Addiction and Recovery. He is the author of several peer-reviewed articles on addiction and recovery and is the co-author of the book Six Essentials to Achieve Lasting Recovery. Keith Murphy is a senior substance abuse counselor at Rutgers University. In his role as a recovery counselor, Murphy helps students in the collegiate recovery program develop skills for recovery and life in college and beyond. Sierra Castedo is the director of the Center for Students in Recovery at the University of Texas at Austin. Castedo became involved in collegiate recovery first as a student in need and now serves the collegiate recovery program that changed her life.